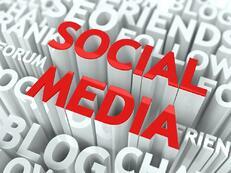 The insurance companies view social media as a worthwhile investment to increase the company's profitability. Below are the top 5 tactics insurance companies will use in an effort to deny your long term disability claim. en before your disability – and use it as “proof” that you are more active and capable than you reported to the insurer. Consider Dan’s story below. Dan was suffering from herniated discs in his neck and back. He couldn’t even lift 10 pounds without experiencing pain. However, on Instagram, he posted an updated picture of him bench pressing 100 pounds in a gym. His caption stating, “Those were the good old days. #weightlifting.” The picture was taken two years before disability. But, the insurance company did not bother investigating the date of the picture and assumed that it was taken recently. Consequently, the insurance company used this picture as an example to contradict Dan’s reported limitations and deny his claim. One of the most common reasons insurers perform routine social media checks is to damage your credibility regarding your mental well-being. To do this, insurers will specifically highlight pictures and comments on your social media account that consistently suggest a good mood, happiness, motivation, good appetite, and ability to be social – among many other indicators that contradict psychiatric or mental health symptoms. This is particularly relevant if you’re suffering from a depressive or anxious disorder. Consider Robert’s story below. Robert, an executive banker, stopped working due to major depression. Since he stopped working, he rarely left the house. He avoided crowds, had poor motivation, and was in constant fear of routine panic attacks. Robert was always ashamed of his depression, and he tended to portray himself as happy and well-balanced on Facebook. On Facebook, he seemed upbeat, happy, and very active – no one would assume he was suffering from serious depression. The insurer quickly picked up on this and used Robert’s Facebook account to discredit his psychiatric symptoms and deny his long term disability claim. Insurers always search for conflicting information to deny or stop benefits. They scrupulously monitor social media accounts to extract any bit of information to support their decision and show you can work. Consider Stacy’s story below. Stacy, a software engineer, had to stop working due to her inability to concentrate, retain information, and prioritize her job duties. Although she was always high-functioning, her cognitive abilities progressively diminished. Prior to her disability, Stacy took pride in her career, abilities, and the multiple engineering programs she was proficient in. Her LinkedIn profile cataloged her impressive resume, skills, and abilities. Although now disabled, Stacy decided to keep her LinkedIn profile active as a reminder of herself before disability. She listed her LinkedIn status as “Open to New Employment Opportunities” with the hope that she could be well enough to return to work one day. However, the Insurance company quickly latched on to Stacy’s LinkedIn resume and status. The insurance company uses this to claim Stacy was an individual who is must be capable of working because she is actively looking for work. Her claim was denied. The resourcefulness of insurance companies extends to what you may perceive as harmless and insignificant. They will even look at the comment section on your social media profiles. Consider Leah’s story. Leah was invited to a restaurant near her home for her friend’s birthday. Although it was very difficult and painful for Leah to maneuver her body due to rheumatoid arthritis of both knees, she decided to attend the event. It took Leah a very long time to get to the restaurant due to relentless pain. Once she got to the restaurant, she forced herself to be happy, smile, and be social for her friend’s sake. She only stayed for 1 hour before going back home in pain. However, on Facebook, all her friends commented on how happy they were to see her and how great she looked. Leah’s long term disability insurer company latched on to these comments detail and used them to challenge the severity of Leah’s pain and mobility issues. Consequently, Leah’s benefits were denied because of social media’s inability to reflect the true state of her condition. The insurance company will conduct social media searches in an effort to prove you’re exaggerating or lying about your disability. To do this, your insurer will intentionally cherry-pick information from your social media accounts and use anything it can find to discredit you. Consider Amanda’s story. Amanda suffered from a combination of physical, mental, and cognitive impairments that ultimately precluded her from all work activity. On most days, she is bedridden and can only endure a few hours away from her bed. She told the insurance company that she rarely leaves her home, but she has some days that are better than others. One of Amanda’s favorite hobbies is logging into her Facebook account, where pictures and comments of her true condition are absent. It’s an escape for her. On her account, there are many pictures of happier times from her past, plus and a few more recent photos from days where she was feeling “better.” Her recent photos weren’t anything special. They simply show her smiling, enjoying a meal out at a local restaurant, and taking a happy-looking selfie in her backyard. Nonetheless, the insurance company highlighted Amanda’s photos and comments – claiming that she leaves the house more often than she reported, and she must be exaggerating her condition. The company called Amanda a “malingerer” and denied the long term disability benefits she so desperately needed. As you can see from the previous stories, the insurance company will latch onto anything that seemingly contradicts your long-term disability claim. This is extremely problematic because your social media profile may not accurately depict your everyday life. People tend to put their best face forward on social media – choosing to share information about happy events and milestones, rather than their everyday struggles. For example, your social media profile is likely to have more pictures of you smiling than of you struggling with mundane daily activities (e.g., cleaning, cooking, grooming, etc.) or work-related activities (e.g., typing multitasking, thinking critically, sitting or walking for long periods, etc.). But, when the insurance company looks at your profile, it may assume you simply don’t have any difficulties. Therefore, the best way to handle the dangers of social media is to simply set it to “private” and stop using it. Privacy settings alone are not effective because insurers may “friend request you” or “message” on social media under a fake name to access information about you.